DU admission 2017: The University of Delhi (DU) will release the third cut-off list for admission of students to first year undergraduate courses from the academic term of 2017-18 today. Candidates who have applied for admissions at DU can check whether they have cleared the cut-off which will be made available on the official site tonight. 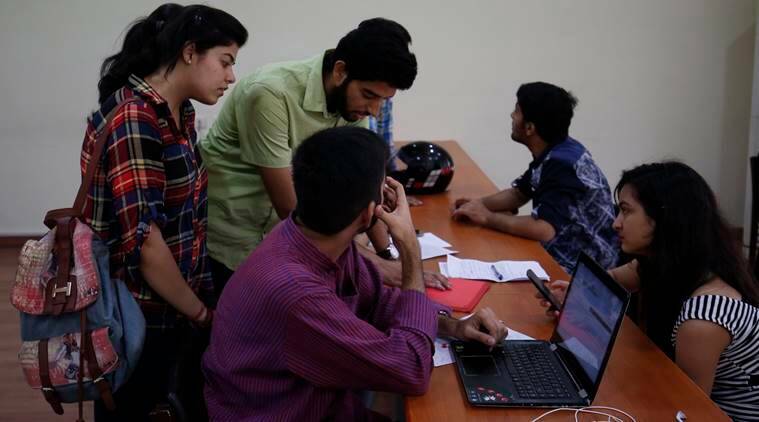 While a number of top colleges have already filled their seats, SGBT Khalsa— which has released the highest cut offs this year— has so far only admitted about 50 student. Hindu College has closed its admission process with more than 870 admissions against 752 seats. SRCC has also filled its seats while LSR College has closed its doors to all courses but four including psychology, English, journalism and political science for the general category. Last year, the third cut off list was announced on July 10 and the dip was marginal at many of the top colleges, ranging from o.25 per cent to 2 per cent. – Ram Lal Anand College’s third cut off was at 91.50 per cent for BA (Hons) English and 85 per cent for its BA programme course. – Cut-offs for admission into computer science (Hons) were still high by the third cut off, IP college, Hansraj and PG DAV college holding at 94.75, 95.75 and 95 per cent respectively. – English Honours was still open last year at 37 colleges compared to just 18 colleges the year before. – Colleges like Gargi and Miranda House had already closed admissions for a number of science courses.